The launch date for LG’s newest flagship is fast approaching and eager fans will be given a chance to secure their chosen handset variant along with a lot of freebies. The LG G4 has pretty big shoes to fill. It’s predecessor, the G3, garnered pretty big deal awards and still continues to slug it out with the newer flagships from other brands despite its relative age. 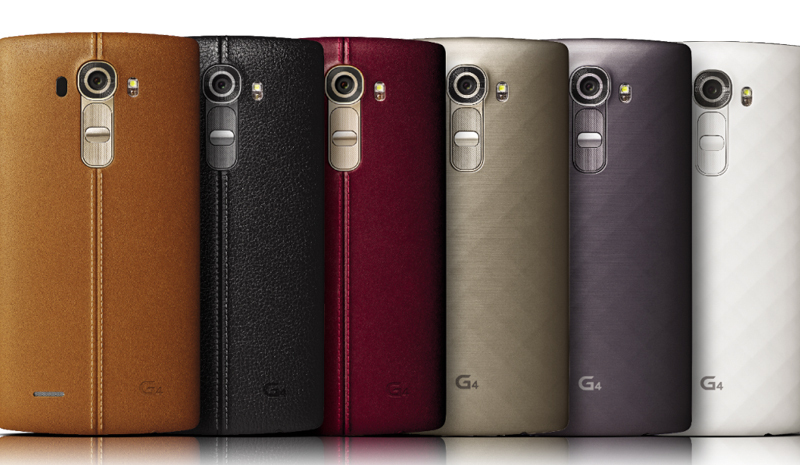 This time around, LG is making sure everyone gets the G4 that they want along with a lot of freebies. 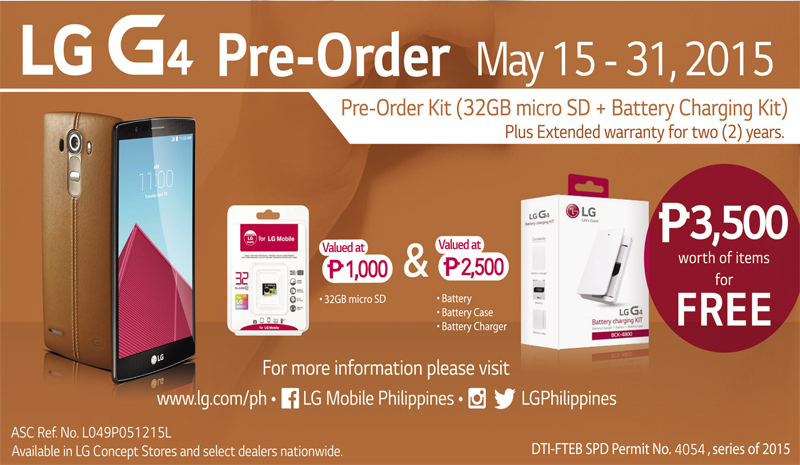 From today until May 31, 2015, anyone can drop by participating LG kiosks or dealships to pre-order the device. So what’s in the pre-order kit? All in all, you’re getting around P6,000 worth of freebies and after-sales services from LG. What’s more, you can get the variant of your choice. The Genuine Leather version is priced at P32,990 and comes in three colors (brown, black, and red), while the Metallic Finish variant is priced at P31,990 in three colors as well (Shiny Gold, Black Titan, and Ceramic White). If you do go for the pre-order promo, you can pick up your brand spanking new LG G4 starting June 3 at the LG Concept Store or authorized dealer where you pre-ordered. Remember to bring a valid ID when picking up your unit and freebies. For more information, visit the official LG G4 microsite.